Whether it’s beef from the Scottish highlands or our world famous Welsh lamb, British food has a well-earned reputation for being produced to the highest standards of animal welfare, quality and safety. Now is the time to make the most of this global reputation and during my first trade mission to China I have been emphasising the importance of our trading relationship and promoting the quality and safety of British food and drink. I also met Chinese food businesses to promote our food industry and support inward investment. The Chinese have always attached great importance to food safety and quality, and as the number of middle-income consumers in China has risen the tastes and culinary choices of the population have changed too. That’s why I’m in China flying the flag for the Great British brand and looking ahead at the opportunities available. We recently launched an ambitious new action plan to boost our food and drink exports and help first time and existing exporters grasp the opportunities our reputation brings. In this plan we are targeting nine key markets across 18 countries which have the biggest growth potential, with the aim of boosting exports by £2.9 billion across these markets over the next five years. China is one of these priority markets and over the next five years we are targeting an extra £405 million worth of exports. This will largely be through market access for pork, beef, lamb, poultry and premium seafood. This is building on what I believe is already one of our biggest success stories. Last year we exported £290 million of food and drink to China, with pork exports rising sharply this year. Based on current trends, they are likely to be at least 80 per cent higher than in 2015. 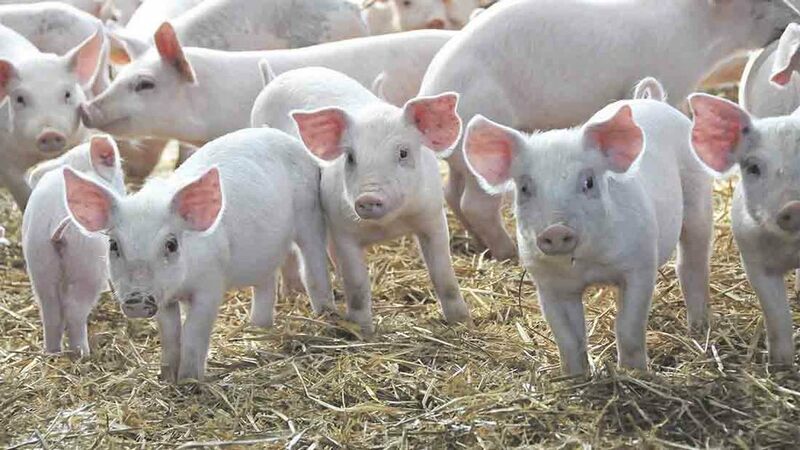 This is wonderful news for our first-class pig farmers. Speaking at China’s International Meat Trade conference in Beijing, it is clear to me the Chinese already know that food safety plays a huge part in the sustainability of our food industry. We have mandatory country of origin labelling for pork, lamb, goat and poultry meat, meaning traceability is no issue, and consumers always know when they’re buying British. And it’s not just our meat that is proving popular. There is a wealth of Chinese demand out there for our dairy industry, with trade in products like milk and cheese increasing by 184 per cent from 2014 to 2015. My department will continue to do all it can to give UK companies a platform to reach global markets. In October hundreds of small and medium food and drink enterprises were given a boost to start exporting when the first ever ’Food is GREAT’ export truck travelled around the UK. Experts gave tailored advice to start ups on issues like labelling and financing international trade to help businesses gain global access. I’m incredibly proud of the work underway. And as we move forward we will be looking to our biggest trading partner in the East to broker even more export deals, ensuring the best of British can be found on the shelves of Beijing and beyond.